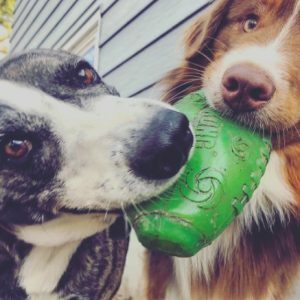 Welcome to Wanna Go Outside, a unique dog care provider serving the Madison, Wisconsin area. Our services ensure your dogs are happy and comfortable while you are away from home. Our experienced and professional staff will improve your life as well as the lives of everyone in your household, from the dog up! We understand that choosing someone to care for your pet is an incredibly important decision. For this reason, Wanna Go Outside is committed to providing clients with the best pet care available. Our primary objective is to provide you peace of mind while giving your dog as much outside time as possible. We take our job very seriously. Our complimentary consultation gives each of our future clients the opportunity to meet us, drill us full of questions, and determine the value of our service. Moreover, it gives us a chance to meet your pup! 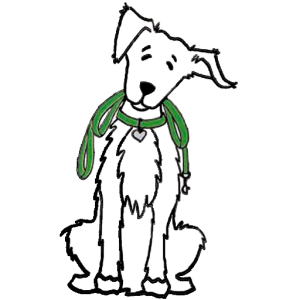 Wanna Go Outside’s mission is to provide the finest canine socialization service in the Madison area. Our desire is to ensure the trust of our clients through our excellent service when caring for their beloved pets and homes. We understand the relationship people share with their canine companions because we nurture similar relationships with our own dogs and the dogs of our clients. We are professionals in canine management…you can hire a dog walker, or you can hire someone who knows dogs. Why should I hire Wanna Go Outside? 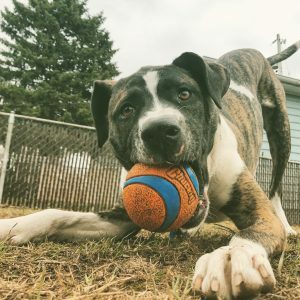 Let’s face it: Healthy and well-adjusted dogs require many of the same outlets that we commonly associate with our well-balanced lives: exercise, social interaction, and on-going education, just to name a few. Albeit obvious, an important distinction between our lives and the lives of our pets is this: Whereas we dictate the course of our day, the course of our pet’s day is dictated by us. But our lives are busy and fast-paced. Although we love our pets, we don’t always have the time for them they deserve. Enter Wanna Go Outside canine socialization service! 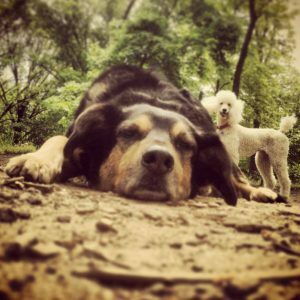 Wanna Go Outside is Madison’s premier canine socialization service. Our competent, professional, dog-loving staff has more than 20 years of experience with countless dogs (and dog owners!) throughout the Manhattan, Bronx, and lower Westchester County. We pride ourselves on the relationships we maintain with our clients, as well as the important service we provide dogs and dog owners alike. Your dog’s playtime will be supervised and managed by Certified Pet Dog Trainers and Behavior Counselors! Because of our knowledge in canine behavior and body language, we are able to maintain a harmonious space for your dog to socialize with other dogs. Why do you need a dog care service? Because it will immeasurably improve the life of your pet. Why do you need Wanna Go Outside’s dog care service? Because we understand dogs, because we understand the relationship between you and your pet, because we know that what is good for the goose is good for the gander so we focus on both the goose AND the gander! Studies indicate that one in four dogs have a behavioral problem. It isn’t so much a problem for the dog – heck, they could care less. No, the problem is that these behavioral issues affect the owner’s life and anyone else who spends time around the dog. Many dogs show a weakness of temperament or inability to cope when faced with certain situations. Socialization and habituation are important in nurturing a dog capable of confidently relating to people and animals. A puppy that is inadequately socialized or habituated may grow into an adult dog that is fearful of people and the world around. Fearful responses can develop even in the absence of unpleasant experiences. In essence, dogs must be alert to danger in order to survive. As a result, a dog’s instinctive response to anything unfamiliar is to treat it as if it is dangerous. Unfortunately examples of animals that were inadequately socialized or habituated can be seen every day. Shelters often receive dogs that are labeled “abused” because the animal responds fearfully to certain people (men with beards is one common example). However, there is a possibility that the animal has not been abused. The animal may simply never have seen a man with a beard! Regardless: there is a higher risk for aggression in dogs that are not adequately and properly socialized. Conversely, dogs that receive daily socialization and habituation are less likely to be aggressive. That said, the question remains: Why are so many puppies under-socialized and under-habituated? Unfortunately ‘time’ is the culprit. Our pets require A LOT of work, which necessitates a significant investment of time: time that our schedules often do not permit. At the same time, socialization wears off. A pup that was properly socialized and then who is denied social opportunities for a long period of time (such as those long winter months!) will behave much as if they were not properly socialized or habituated. What this means is that your dog should be exposed and re-exposed to as many people, animals, things and situations as possible, in a controlled manner, throughout its life. Today, zoos know better. They create interesting habitats and activities for their animals. Polar bears usually have a pool stocked with live trout, to stimulate their hunting skills. Leopards have tall trees to climb. Wolves follow invisible scent trails laid down by zookeepers, to stimulate their sense of smell. These additions excite and give the animals a purpose. Domestic dogs need a purpose too. Unfortunately, most of them spend their days in home environments that are lonely and lack stimulation. While left alone, their instincts to hunt, explore, play or socialize are rarely engaged. Instead, most dogs spend their days eating, sleeping, pacing, or getting into trouble. These “latch key” pets often obsess on food, which is sometimes the only stimulus available to them while their owners are at work. Each breed of dog, or combination there of, was bred for a specific purpose and to do a specific job. Beagles were meant to use their nose and hunt, Aussie’s to run and herd, Labs to devote their lives to retrieval and the receipt of praise for running and swimming hour after hour. When we invite dogs into our homes we need to provide them with an environment that challenges their natural work ethic. Unfortunately, in our very busy lives we often fall short of this goal. Dogs may be crated or confined for long periods of time while we are away at work. Once we arrive home there are evening activities, chores, and fatigue that often distract us from our pet owner responsibilities. 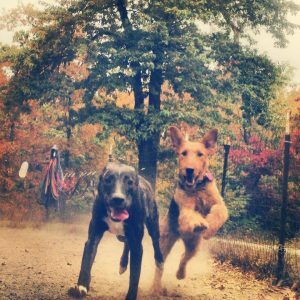 For the wild cousins of domestic dogs, regular exercise is an integral and necessary part of daily life. They must keep on the move because they must hunt for food. In opposition, a walk to the food bowl is sometimes the only exercise many house pets ever get. Wanna Go Outside is ready to fill your dog’s dance card!